Throughout college, I had trouble finding my direction. 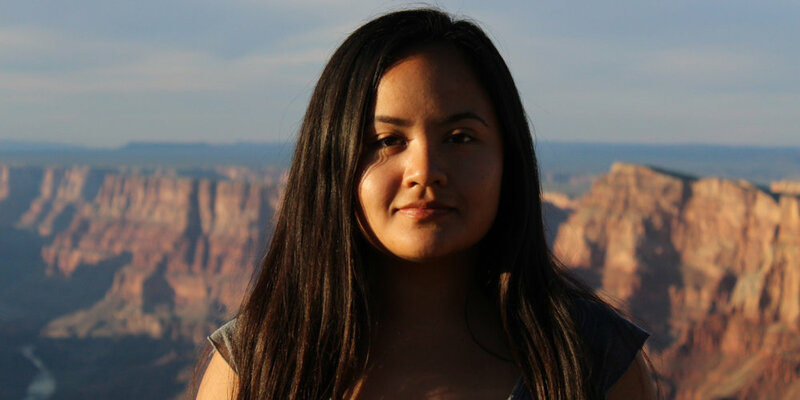 I became involved in the American Indian Student Association (AISA) and started volunteering for the American Indian Recruitment (AIR) project which aims to increase the population of Native students at UCLA and in higher education. The more I involved myself in community through college, the more I was reminded of what was important. I realized that in order to make any positive impact, I needed to change myself and become more active. Currently, I am the AIR Project Coordinator. I surround myself with passionate, adventurous, and supportive people who are grounded in their values. I also chose to become sober to keep a clear mind and take care of my spirit. I have many aspirations and goals I plan to accomplish but as of now, I am dedicated to outreach. My work can be extremely frustrating considering negative attitudes and the institutional barriers. However, the more setbacks I come across, the more I feel empowered to continue to be a resource for Native youth and adults in their pursuit of higher education. I want to provide the guidance I wish I had as a student so that others do not have to go through the same struggles. Our ancestors are always watching and they live through us. I am thankful for the path they cleared for me and know I must take advantage of the opportunities presented to me. I am also mindful of my actions and how I take care of my body so that I do not repeat harmful behaviors. Many of my mentors and role models are my peers. It is powerful to have friends who are actively pursuing their goals and who are practicing wellness. They do not necessarily tell me what to do, but inspire me through their actions. Recognizing that the issues that affect us will not be resolved overnight drives me to keep working. When I reflect on each day, I want to make sure that I did my part. It also helps knowing that I have younger ones watching me. Be a leader by example. You already have an idea of what change you want to see and what you need to do. Change will only manifest once you take action.